According to the Anxiety and Depression Association of America, approximately 6 million Americans, or 2.7% of the population, suffer from panic attacks. Women have twice the likelihood of developing panic disorder compared to men. People who have panic disorder experience panic attacks seemingly for no reason at all, and have a fear of recurring attacks. Some sufferers also develop agoraphobia, or a fear of a specific place or situation. People who have panic attacks avoid these places or events due to experiencing an attack before, and associate the place or situation with fear. Approximately one in three people with panic disorder develops agoraphobia. 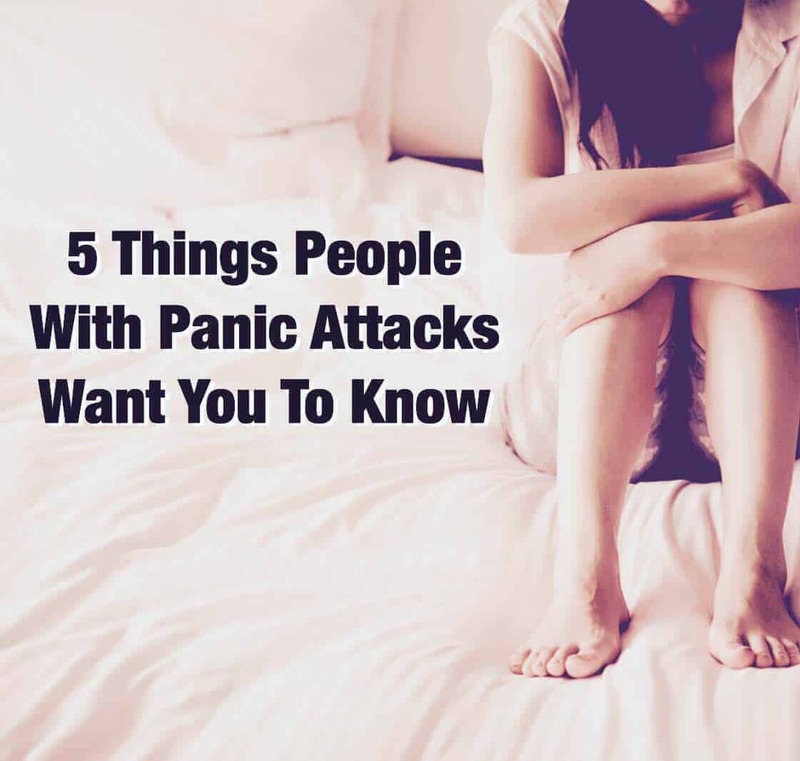 People who have panic attacks usually feel misunderstood by those who have never experienced one before, so we have compiled this short list of some major points that people with panic attacks want you to know. 1. There are no warning signs. Panic attacks happen spontaneously, with no time to prepare at all. One minute you might feel fine, and the next, it feels like you’re in a war zone and have no idea how you got there. Your heart starts racing, palms start sweating, the room begins to spin, your whole body feels weak, and your breathing gets rapid and uneven. More often than not, it an attack happens in a noisy, crowded place, so the sufferer will want to escape for fresh air and to avoid the stressful situation. Panic attacks occur because of an excess amount of anxiety, and in nature, the fight or flight response would kick in to help protect us from imminent danger. However, in modern society, sometimes the way we perceive a situation can trigger this same response, and even cause a panic attack if the sufferer has extremely heightened levels of anxiety. 2. They can happen anywhere, for no reason at all. Panic attacks don’t always happen in large, bustling places; they can happen during sleep, while sitting at home in your room, and might not have a precursor. Panic attacks can run in families, but not always. The scariest part for a person with panic attacks is that they can’t predict when another one will come along. This leads many people to avoid places and situations that they feel might trigger an attack, or a place or situation where they’ve experienced an attack before. 3. It feels like your body is fighting against you. If you haven’t ever experienced a panic attack, then it’s difficult to understand just how terrifying one really feels. People who have panic attacks have described it as feeling like a heart attack, dying, a stroke, and other serious complications. While a panic attack can’t really do long-term damage to the brain or heart, but prolonged stress can certainly lead to other problems down the road. feels like you can’t control your body, like it does whatever it wants and you just have to watch, horrified and scared for five or ten minutes. Panic attacks might not be life-threatening, but they sure feel like it to those who suffer from them. 4. Controlling them is not easy. People respond differently to healing techniques, but some might not respond to any of them positively, unfortunately. Natural remedies such as meditation, eating a clean, plant-based diet, herbs, essential oils, and other “alternative” medicines can do wonders, but even these remedies might not totally cure someone of panic attacks. Coping techniques can certainly help the sufferer learn how to manage their panic attacks, but that doesn’t magically take them away. 5. They can lead to other issues. 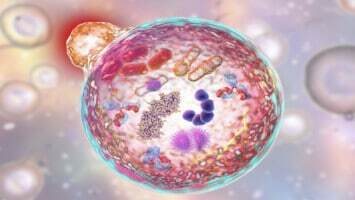 If they don’t find a cure for their panic attacks, many people become drawn to substances such as alcohol or drugs in order to calm their nerves. While this is understandable, it can lead to addiction as the person requires more and more of the substance in order to feel calm. Unfortunately, drugs and alcohol only mask the deeper problem. Panic attacks can also lead to avoiding society altogether in an attempt to protect themselves from further attacks. More than anything, people with panic attacks just want you to know that they suffer from something real, even if you can’t see it with your own eyes.